Talking with loved ones about your values and wishes can help ensure you'll receive the type of treatment you want. If you're like most people, you've avoided talking about what would happen in the event that you become unable to make your own health care decisions. But as your family and friends gather together during the upcoming holidays, consider carving out some time for an important conversation with a person you trust. Everyone should have a health care proxy—a person who can speak on your behalf if you lack the capacity to do so. "You don't want to burden your health care proxy with difficult decisions. That's why you need to discuss the choices that you'd make for yourself," says Dr. Lynne W. Stevenson, professor at Harvard Medical School and director of the cardiomyopathy and heart failure program at Brigham and Women's Hospital. We tend to think about these discussions as being appropriate for people who are either very old or who have an advanced stage of cancer. In fact, cardiovascular disease is the most common cause of death. Yet over the past few decades, treatment advances have changed the arc of this disease. More people are surviving heart attacks, which means there are more people who eventually develop heart failure—when the weakened heart can't pump enough blood to meet the body's needs. But improved therapies have also greatly extended the lives of people with heart failure. "Thirty years ago, people with advanced heart disease who didn't get a heart transplant were dead within two years. Today, I follow many patients who have survived more than a decade with their own hearts despite heart failure, thanks to better medications and special pacemakers," explains Dr. Stevenson. These days, many people with heart failure survive into old age and end up dying of something else—an illustration of the uncertainty we all live with. None of us knows what's going to happen in five years, in 10 years, or even tomorrow. Perhaps the most feared outcome is a stroke. So that old adage—to plan for the worst and hope for the best—makes sense. But this uncertainty is a fundamental aspect of the value and meaning of the human journey, says Dr. Stevenson. For people with a serious, chronic illness like advanced heart disease, one question invariably comes up: "Doctor, how long do I have?" But no doctor can answer that question for any disease, says Dr. Stevenson, noting that heart disease is particularly fraught with uncertainty. People with advanced heart failure can have bad days when they struggle to breathe and feel weak and exhausted, followed by some good days where they are able to enjoy their activities and interactions. However, many cardiac conditions increase your risk for dying unexpectedly from a sudden rhythm disturbance, even when things are going well, she explains. 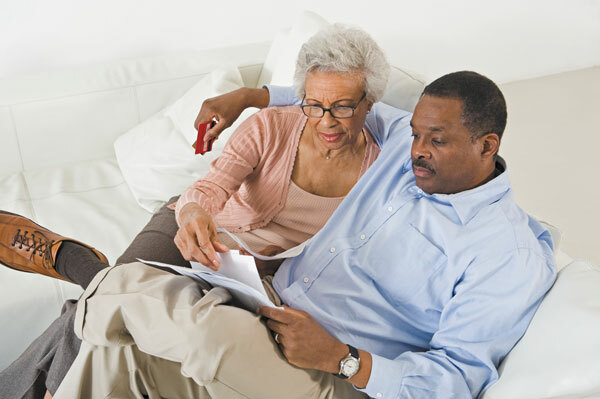 Only about a quarter of adult Americans have an advance directive, a document that helps guide your future care. The first step is to choose a health care proxy—someone who will have the knowledge and strength to carry out your wishes regarding the health care you receive. Many people have heard of a living will. However, this document may not address the range of possible situations beyond whether you want to be resuscitated or receive artificial life support. The numerous possible decisions are hard to anticipate unless you already have a potentially terminal disease. A health decision worksheet may be a better way to help you consider and explain your goals for care in more detail. It includes questions about your fears about your final stages of life, what aspects of your life are most crucial to you, and what will bring you joy, as well as detailed questions about medical care, such as artificial nutrition, hemodialysis, and comfort care that is focused on symptoms rather than survival. For a free copy of this worksheet and a health care proxy form, see www.health.harvard.edu/ADforms. To order Harvard Health Publishing' detailed report on this topic, Advance Care Planning: A guide to advance directives, living wills, and other strategies for communicating health care preferences, see www.health.harvard.edu/lw. Your wishes and priorities will likely change as you age and develop new or progressive medical conditions. So it's a good idea to review any health care documents every few years while you're healthy, or more urgently if you have any new diagnoses or other major changes in your life. Dr. Stevenson, a co-author of the American Heart Association's statement on shared decision making in advanced heart failure, points out one of the most important take-home messages from that document: "Difficult discussions now will simplify difficult decisions in the future." In other words: give your family and friends a gift for the future—the comfort of knowing how you want to be treated during what could be a challenging time for everyone. Even if these conversations may feel awkward and emotional, they are often followed by a profound sense of relief. "Unspoken fears about what might happen can isolate us from those we care about," says Dr. Stevenson. "Sharing them can reinforce the vital connections to each other, both now and in the times ahead." People with advanced heart failure may eventually reach a point where their symptoms become hard to manage. They have may have difficulty breathing, which makes everything—even sleeping—an effort, and their bodies may swell with excess fluid because of poor kidney function. When bouts of hospitalization become more frequent, they may want to arrange a consultation with a palliative care specialist. Palliative care aims to keep a person with a serious, advanced illness comfortable and pain-free with a combination of measures to treat distressing symptoms. For example, small doses of narcotics can help people feel more comfortable and breathe more easily yet still remain alert and able to interact with their families, says Dr. Stevenson. People who have a device that corrects abnormal rhythms (an implantable cardioverter-defibrillator, or ICD) may want to have a discussion with their physician about when to disable the feature that delivers a shock to restore a normal heart rhythm. Keeping an ICD functioning can interfere with what might be considered a more natural death, says Dr. Stevenson.